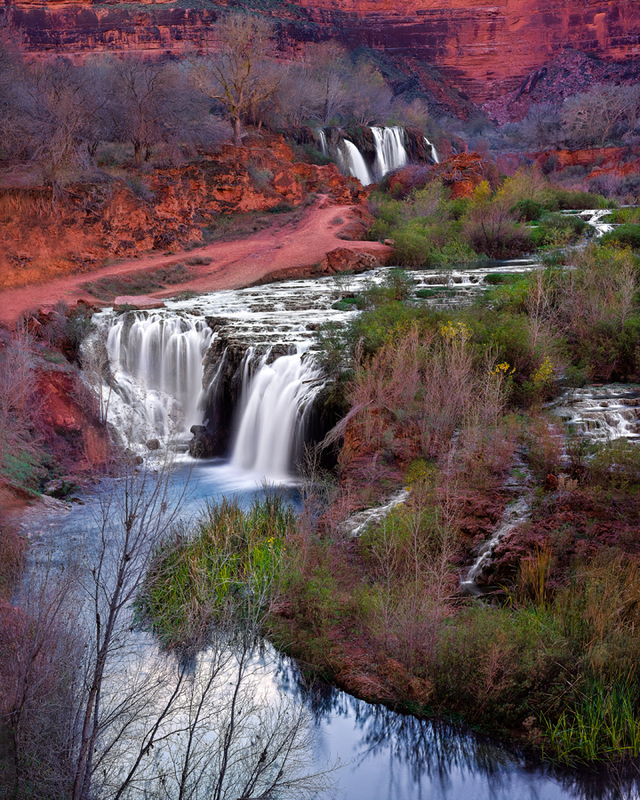 In August 2008, the Havasupai Indian Reservation got hammered by a flash flood. For much of the following year (ten months), camping was not allowed at Havasupai — as volunteers and members of the tribe worked to clean, repair, and restore the area. Navajo Falls, the first major waterfall you came to as you headed downstream prior to August 2008, was wiped out during the 2008 flood. Though the site of the falls still exists today (it is dried up now), the Havasu Creek was diverted during the flood. The diversion created two new waterfalls: Upper Navajo Falls (also known as New Navajo Falls) and Lower Navajo Falls (also known as Rock Falls).